EPA’s ENERGY STAR is a certification for energy efficient buildings, where USGBC’s LEED is a broader certification for environmentally friendly, or “green” buildings, which doesn't necessarily guarantee energy efficiency. EPA believes that energy efficiency is the first step to green, and that all green properties should be energy efficient. Using ENERGY STAR tools and resources, and ENERGY STAR recognition where available, will ensure that your green properties (whether certified by LEED or another system) are truly energy efficient. ENERGY STAR is a technical assistance and recognition program that offers free tools and resources to help organizations evaluate their energy performance and reduce energy use. Organizations are encouraged to begin by benchmarking the performance of their properties using ENERGY STAR’s Portfolio Manager. Properties that perform in the top 25% compared to their peers nationwide (for certain property types), are eligible to earn ENERGY STAR certification. 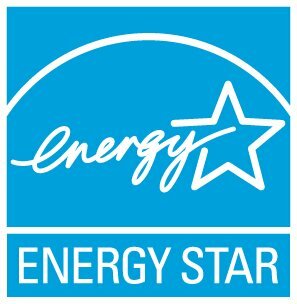 Properties that earn ENERGY STAR certification consume about 35% less energy than their non-ENERGY STAR counterparts. Leadership in Energy and Environmental Design (LEED) is a green building certification offered by the non-profit U.S. Green Building Council (USGBC). LEED certification looks at various aspects of “green building” and awards recognition to buildings that meet certain standards. Users of the LEED process earn credits in several categories associated with green buildings. These differ by the type of LEED certification, but generally include: sustainable sites, water efficiency, energy & atmosphere, materials & resources, indoor environmental quality, and innovation. While each category may have required prerequisites that must be met, for the bulk of the credits users can choose which categories they wish to focus, based on their own priorities. Energy efficiency may or may not be one of those priorities.